Microgate's lightweight single-ear headset is designed for timing environments where it is useful to have one ear open to hear what's going on around you, such as finish buildings or start areas. Extremely comfortable due to its light weight, with foam mic windscreen to block out ambient noise. Sturdy construction with comfortable design, flexible boom mic with foam windscreen. 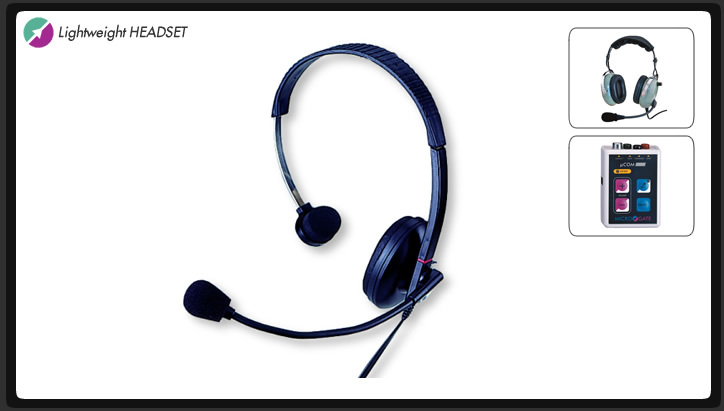 Compatible with Microgate noise-cancelling Headset, Microgate Headset Amplifier.